Billy Duane Davis, 81 of Omak, Wash., passed away at his home on Oct. 29, 2017. Billy was born in Mason City, Wash., on Sept. 9, 1936, to parents Norville and Helen Davis at Mason City. Billy grew up in the Grand Coulee-Del Rio area. He married his first and only love, Charlotte in 1954 in Coeur d’Alene, Idaho., and immediately entered the Navy where he served aboard the U.S.S. Skagit for four years. He was a 3rd Class Signalmen. 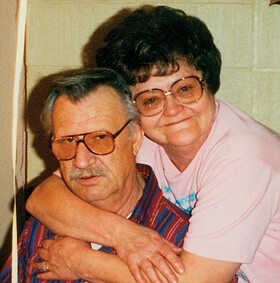 Billy and Charlotte worked at many professions and finally settled in Bridgeport, Wash., where he worked at the Chief Joseph Dam, reaching the final position of Chief Operator. Through the last 21 years, Billy proved to be an inspiration to all who knew and met him after experiencing a debilitating stroke. Billy was preceded in death by his wife, Charlotte; his parents; and both siblings, Gene and Wanda. Billy is survived by three sons, Glen of Spokane, Michael of Omak, and William of Omak; and Michelle of Spokane; eight grandsons and two and a half great-grandchildren. A private service will be held at Billy and Charlottes special place. Thanks to Precht-Harrison-Nearents Chapel for all their help.